Mounting Details Platinum and 18K Yellow Gold Setting with 2 Trillion Cut diamonds weighing 3.50ctw. 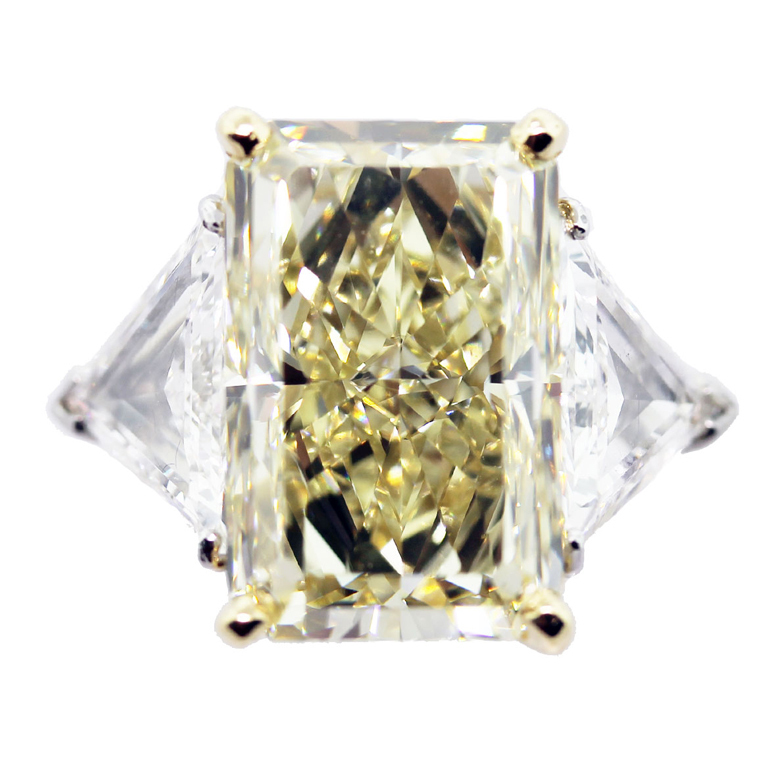 Trillion cut diamonds are F/G in Color and VVS in clarity. Additional Details Comes with GIA Diamond Grading Report and Raymond Lee Jewelers Presentation Box! At present, this is the largest diamond ring in our store. Read about some of the biggest diamonds in the world on our blog! Categories: 3 Stone Engagement Rings, Diamond Engagement Rings, Diamond Jewelry, Diamond Rings, Diamonds, Fancy Color Engagement Rings, Gold, Jewelry, Platinum, Radiant Cut Diamond Engagement Rings, Rings, with Diamonds. Tags: fancy yellow diamond, Radiant Cut Diamond Engagement Rings, Radiant Cut Diamond Ring, yellow engagement ring boca raton.